In April 2015, President Obama signed into law sweeping physician reform legislation requiring CMS to implement a new two-track payment system for doctors. The two tracks will tie an increased percentage of physicians’ Medicare fee-for-service payments to outcomes through the new Merit-based Incentive Payment System (MIPS) and encourage the adoption of “alternative payment models” (APMs) which move payment away from fee-for-service reimbursement. In November 2017, CMS released regulations that include accredited continuing medical education (CME) as an Improvement Activity under MIPS. As detailed in the final rule, CMS determines that “completion of an accredited performance improving medical education program” be included under the list of Improvement Activities under MIPS — one of the key policy changes proposed for the Quality Payment Program Year 2. CME should be included in the Improvement Activity measurement category, as these courses are among the most important ways in which doctors seek to improve their understanding of new treatments and therapies, improve beneficiary outcomes, and ultimately, improve their practice as a whole. ​This initiative led by the CME Coalition began in March of 2016, and included the input of many other stakeholders including ACCME, AAFP, AMA, AOA, CMSS, ACEHP, and others. 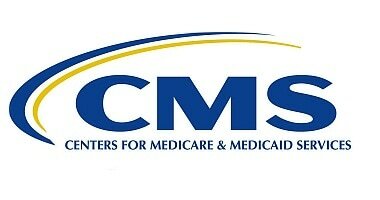 The CME Coalition and 160 additional organizations submitted comments to the Centers for Medicare and Medicaid Services (CMS) in 2017 supporting the agency's proposal to reward physicians for their participation in certain continuing medical education (CME) activities. Of the roughly 1,300 comments submitted on the proposed rule, 160 individuals and organizations sent comments that included support for the inclusion of quality improvement/practice improvement (QI-PI) CME in the final rule. In April 2016, the Centers for Medicare and Medicaid Services (CMS) released its proposed rule to implement the Medicare Access and CHIP Reauthorization Act (MACRA). This is a significant rule with fundamental changes for Medicare. As a refresher, the rule creates a two-track Quality Payment Program. The first is called the Merit-based Incentive Payment System (MIPS) consolidates components of the Physician Quality Reporting System (PQRS), the Value-based Payment Modifier (VM), and the Medicare Electronic Health Record (EHR) Incentive Program. A second track involves alternative payment models (APM). ​This post takes a deep dive into the rule’s content related to the Merit-based Incentive Payment System. In this short video, the Department of Health and Human Services (HHS) provides a brief overview of delivery system reform and what it means for doctors going forward. The video covers previous efforts at reform and the legislation that spurred the Medicare Quality Payment Program before outlining the specific changes that the program intends to make.